The oldest among the contemporary classical dance forms of India. Bharatanatyam?s history goes back several centuries, its raw beginnings traced to dance mentioned in the Sangam era literature between 3rd and fifth centuries A.D., the Tamil epic Silappadikaram full of details about the dancer and her art. Dance then was referred to as ?Kootu? 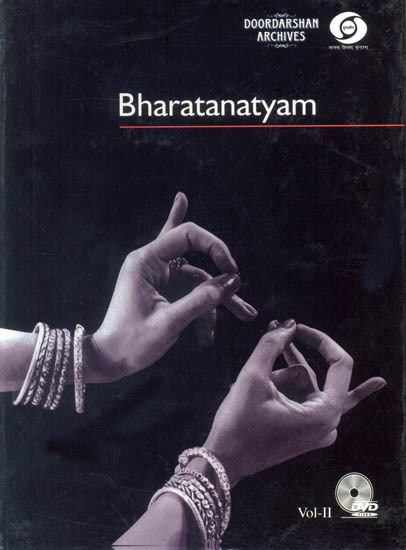 or ?Attam?, the name Bharatanatyam being a post 20th century christening. Sculptural evidence from 10th century onwards clearly establishes the dancing posture of the half-seated figure with the turned-out knees called ardhamandali, the basic postural concern of Bharatanatyam. While temples all over India during this period have sculpted figures in this posture, the post-tenth century evidence is restricted to the south where Bharatanatyam flourished Under the patronage of the Pallava, Chola and Pandya-dynasties ruling over the Southern Peninsula. The practice of dancers as servants of the God or Devadasis in temple service, would seem to have become an established tradition by the 10th century, gathered from inscriptions on temple walls. After the Nayak rule in the South (16-17th centuries) the Marathas ruled with Tanjore as capital and during this time-with a Tamil speaking people, with Telugu as court language, being ruled by Marathi-speaking kings, Bharatanatyam acquired its present format in the 19th century under the four illustrious brothers Chinnayya, Ponnaiyya, Vadivelu and Sivanandam, who between their collective genius devised the concert format. Seen even today I solo Bharatanatyam recitals. Bharatanatyam technique, with a clean geometry, where head, torso and lower limbs function as three units, has a symmetry with movement repeated on both sides of the body, centered round the basic araimandi or half-seated position with the out-turned knees and feet turned sideways. Body position and movement patterns, follow the geometry of triangles, straight lines and diagonal lines. The dancer needs to preserve the linear exactitude. To master this, the student in Bharatanatyam is taught an elaborate exercise of dance units calles adavus, where movement of feet, knees, torso, arms and hands are combined. Dance along with all other art forms shares the common aesthetic aim of evoking aesthetic joy or ?rasa? in the viewer. Also shared is a spiritual aim where all art forms become disciplines in aid of self-realization and in experiencing a higher level of consciousness. Spirituality and dance become soul mates, with devotional themes becoming a part of dance. Carnatic classical music being bhakti-oriented, provide a ready base for the dance. Varied Bharatanatyam manifestations traditional and experimental are found today across the globe.